As a parent, there are so many things that are worrisome in regards to your child’s health and safety. While kidnapping, terrorism, drugs and natural disasters are certainly concerning, the odds of most of these things happening to a child are 1 in 10 million. Author Christie Barnes indicates that a much more probable cause of death or injury to a child is automobile crashes where a child is either not buckled up or improperly buckled. DefensiveDriving.com understands the importance of buckling up every driver, every ride. Your child is more likely to survive a crash if they are buckled properly in an approved child safety seat. Texas Law States that once a child reaches eight (8) years old, they are not legally required to be in a child safety seat system. • If the child is younger than eight years old, BUT they are already 4’9″ tall, they are not legally required to be in a child safety seat system. • If a child is eight years old or older, and not yet 4’9″ tall, they are not legally required to be in a child safety seat system. 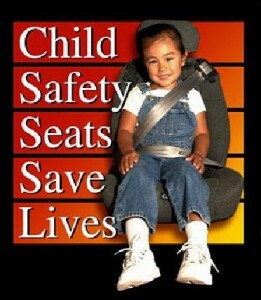 For detailed information about child safety seats, please visit defensivedriving.com.